DUE DILIGENCE | Revenue Consultant - 4X Inc.
Acquisition due diligence is the process by which you gather information about a business you are planning to acquire so that you enter into the purchase with full knowledge of all the relevant facts. To ensure that the investigation is thorough, most prospective purchasers rely on trusted advisors who are experienced in acquisitions to guide them through the process. This allows the purchaser to feel much more comfortable with their decision. 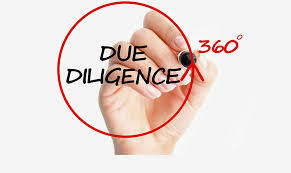 The checklist of items you need to cover during due diligence is very long and detailed, but we must ensure that your due diligence team pays close attention to all of them. The items on the list fall under ten main headings, as detailed in our blog “10 Steps Of An Acquisition Strategy”. Having too much confidence in the company’s future revenue growth and profitability. Misunderstanding the business we intend to acquire.